Mother's day is widely celebrated by most countries. In the UK, this special day is mostly celebrated 3 weeks before easter whilst the rest of the world celebrates it every May. And as brand marketers, we won't miss a special event to promote our brands and products. 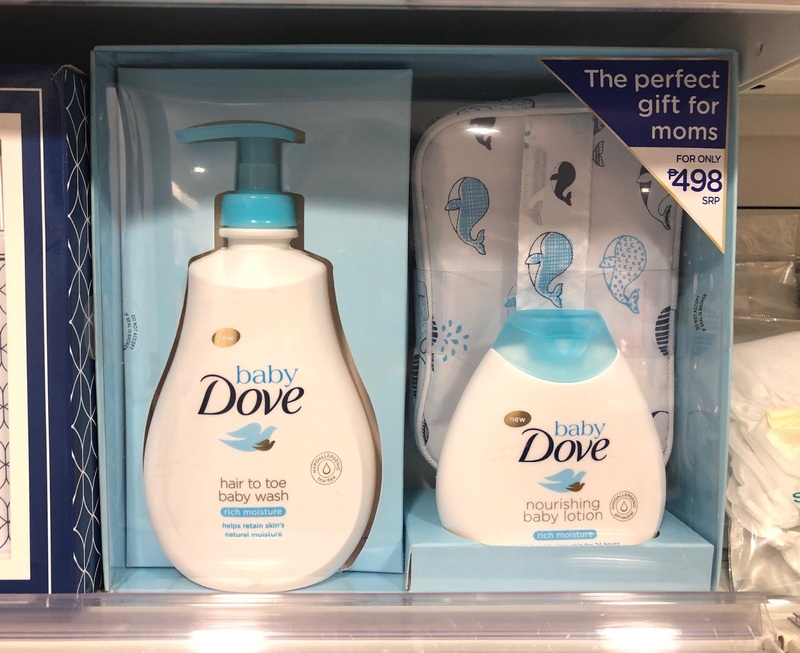 Whilst everyone is looking forward to the special day, Dove, a personal care brand, started rolling out their promo gift for mother's day weeks before the holiday. The brand offers a gift set that includes 1 bottle of hair to toe baby wash, 1 bottle of lotion, and a promotional toiletry bag. The ensemble is neatly packed in a transparent box. 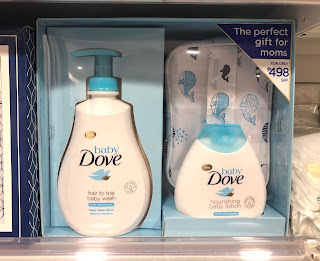 This toiletry bag is well - branded with Dove's colours -- baby blue and white. It perfectly complements the brand's overall theme which helps customers associate the bag with the brand. Also, you will no longer have to worry about misplaced items since all your personal necessities, including your favourite Dove products, are secured in this toiletry bag. The Design -- The design on the toiletry bag looks really appealing to people who love cute things. Dove uses a cartoon - looking whale that is scribbled in several artistic ways. As a result, the design looks really crafty and artful; perfect for mom's who loves a little art and design. The Material -- The material used in the toiletry bag is semi-water resistant. Fluid doesn't easily penetrate the material due to a protective membrane that repels any liquid. But obviously, if soaked in water, its water-resistant capability won't protect the bag. But if you would like to create a waterproof version of this, you may contact our team and I'm sure that they'll help you with your idea. Trendy Design and Good Material - As mentioned. we love the clean design of the bag because it gives off a modern and clean feel. Also, customers will definitely love this toiletry bag because it goes really well with any spring or summer outfit. Furthermore, the material is perfect for mom's that are always on the go because it effectively protects your personal items from external factors. Branding Opportunity - The GWP toiletry bag is perfect to use in school, office, and leisure. Therefore, promoting your brand with this toiletry bag increases your brand visibility. We highly suggest printing the brand name, logo, or other brand visuals on the sides to further highlight your brand. A good example would be this black toiletry bag from David Beckham Fragrances which perfectly highlights the logo. Check out the link here: Custom Toiletry Bag With David Beckham Fragrance Boosts Sales. Overall, toiletry bag promotion is mostly used by brands to further promote their products. So, if you would like to create your own set of toiletry bags or any promotional gifts, feel free to contact our team anytime.